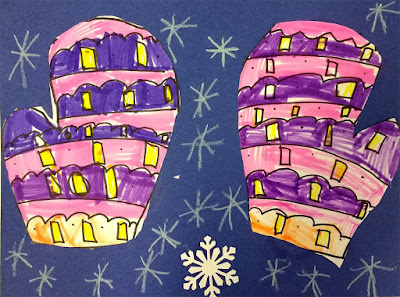 After reading Jan Brett's The Mitten, a richly-illustrated adaptation of a Ukrainian folktale about a boy whose lost white mitten becomes a temporary home to woodland animals large and small, kindergarteners created their own pair of mittens from a piece of cardstock and mitten tracers I provide. 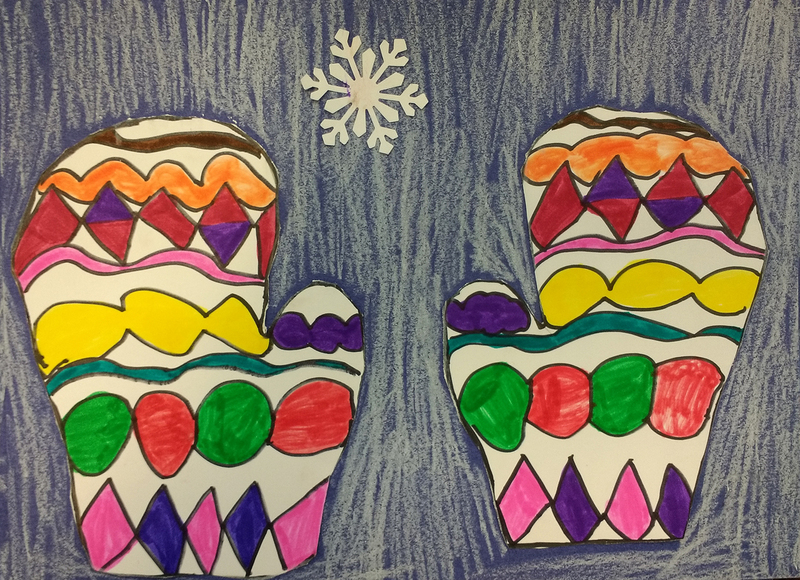 We use this lesson as a first opportunity to talk about pattern - not just in art, but in math and music, too. 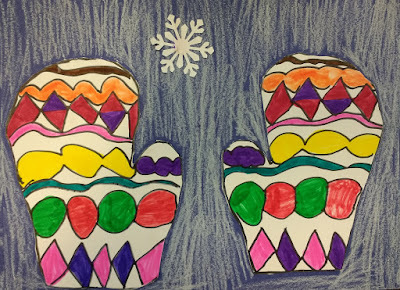 The students then add patterns (of lines, shapes, or colors) and color their mittens "as colorfully as possible, so they can't get lost in the snow." 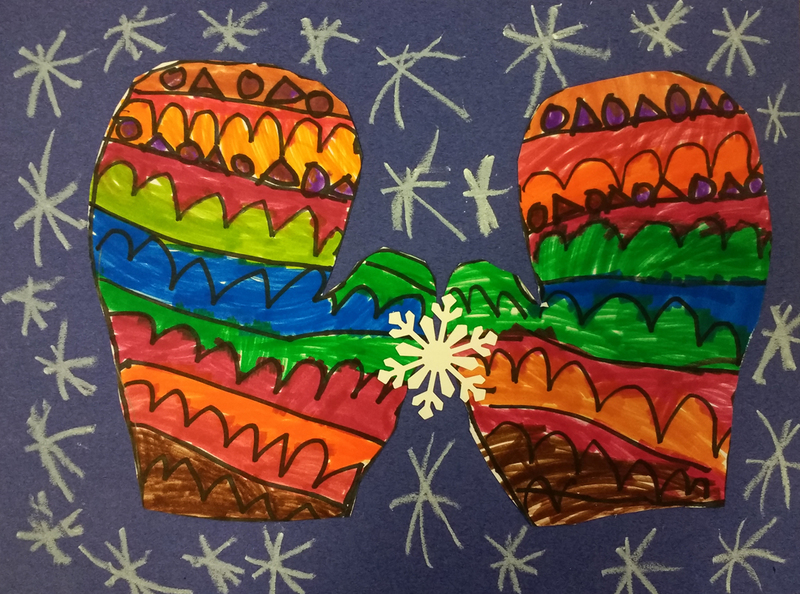 In a second session, we glue our mittens to a blue background and fill it with snowflakes using oil pastels (and one pre-cut snowflake I provide).